101 things to keep a food lover busy all summer long. 1. Learn about natural wines. It helps with the headache the morning after, trust me. 2. Make a cake with kale in it. 3. Find 10 different ways to use rhubarb. To start: rhubarb and mint. 4. Make your own yogurt. 5. Roast your own coffee. 6. Infuse something with geranium. 7. Write a story about a food experience. 8. Ride your bike to the market or grocery store. 9. Plan a dinner party with food sourced from within a 50-mile radius. 10. Try to buy all local for one week. And I mean all. 11. Eat lunch on a sailboat. 12. Grow your own lentil sprouts. 13. Stuff your face with ice cream cake. The vegan kind of course. 14. Make your own sorbet. 15. Two words: kombucha smoothies. 16. Make your own chips out of anything other than potatoes and sweet potatoes. 17. Start a vintage cookbook collection. 18. Go through your grandmother’s or mother’s recipe cards. 19. Plan a picnic on a bridge. 20. Serve wine in actual wine glasses and not mason jars. 21. Make your own picnic basket. 22. Learn how to homebrew. 23. Volunteer on a farm. 24. Don’t look on the internet for a recipe for an entire week and see what happens. Constraints breed creativity. 25. Put seeds (sunflower, poppy, sesame, hemp, etc.) in your salad. 27. Sew your own reusable produce bags. 28. Make a beer cocktail. 30. Host a “homemade BBQ,” ie: homemade ketchup, homemade chips, homemade sausage, homemade buns. 31. Skewer berries on a toothpick, freeze them and place them in glasses of bubbly for a more festive drink. 33. Serve a chocolate cake topped with salt and vinegar chips. 34. Make a dish with lavender. 35. Design your own coasters. 37. If that doesn’t work, date a vegetarian. 38. Find a video projector, hang up a white sheet and watch a food documentary outdoors. 39. Pretend you’re a wine connaisseur. Better yet: just drink the wine you like. 40. Plan a road trip in search of good street food. 41. Keep a coffee journal. 42. Go through all of your kitchen supplies and reduce them by half. You really don’t need it all. 46. Backyard picnic. You don’t have to go far after all. 47. You need to stay hydrated, add fruit and herbs to a pitcher of water to add a little flavor: cucumber, thyme, lemon, apple, etc. 48. Bake something for your neighbors, just because. 49. Read a food book that isn’t a cookbook. 50. Grab a glass jar with a screw on top, pour in some sugar, add in a vanilla bean. Voila: vanilla sugar. Good for sprinkling on summer pies. 52. Cut watermelon into cubes, freeze. Eat. 55. Visit an urban garden. 56. Improve your table manners. 58. Spend at least five minutes on this website. 59. Serve ice cream or sorbet in something other than bowls, like lemon shells for example. 60. Grill s’mores with your own homemade marshmallows. 61. Go vegetarian for a week. Just to see how you feel. 62. Never serve store-bought guacamole ever again. 63. Build a beer bottle holder for your bike. 64. Make a berry pie, but make a crust with ground hazelnuts instead of a regular one. 65. Produce batches and batches of your own Nutella. 66. Keep an ongoing collection of food quotes. 67. Write a poem about food. 68. Teach someone how to cook. 69. Buy an ingredient at a farmers market you have never tried before. 70. Eat salad for breakfast. 72. Make goat cheese ice cream. 73. Put a dash of salt in your cold brew coffee. 74. Find a tree. Build a treehouse. Host a dinner party in it. 75. Put something other than water in your ice cube trays. 77. Plan your summer vacation around food destinations and not tourist sites. 79. Pick blackberries and infuse some vodka. 80. Eat a meal blindfolded. 82. Use zucchini instead of pasta. 83. When you can’t take a vacation, host a round the world dinner party. 86. Experiment with chilled fruit soups. 87. Roast your own red peppers and serve them on everything. 88. Go to a food festival. 89. Master a sangria recipe. 90. Make a classic dish from all 50 states. 91. Put fruit in your sparkling water. 92. Build your own fire pit and cook something over it. 93. Expand your spice collection. 94. Bottle cold brew in a mason jar and give to your friends. 95. Learn how to make your own fish tacos. 96. Go a week without referencing a cookbook. 98. Put basil into a sweet dish instead of a savory one. 99. Consider learning how to pit cook. 100. Eat outside at least once a day. 101. 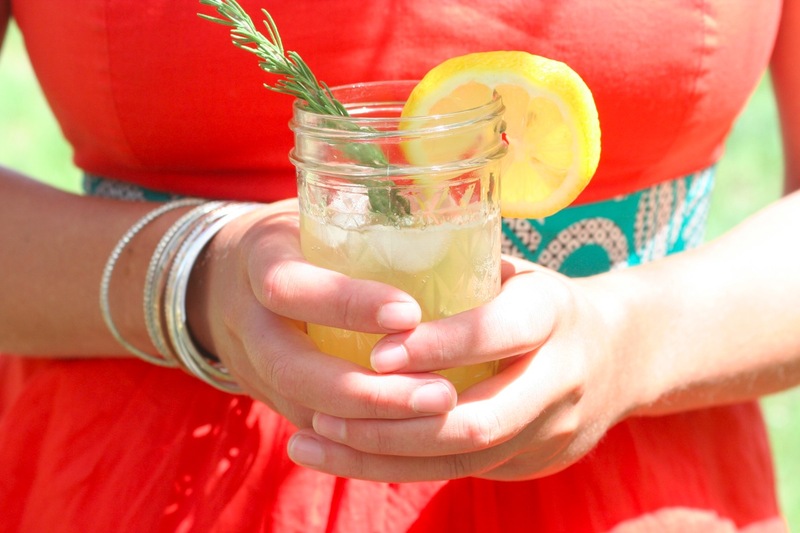 Keep your own sun tea on hand… at all times. Like what you see here on Foodie Underground? Then check out my new book The Culinary Cyclist. Wow what an extensive list! I have a lot to do this summer. Thankfully, I’ve already done about half of the things on the list. Thanks for posting! Love it! I have a couple things to add: make your own popsicles, visit a local dairy (esp. if they have ice cream! ), make frozen yogurt, can/pickle/preserve something… so much deliciousness in the summer!